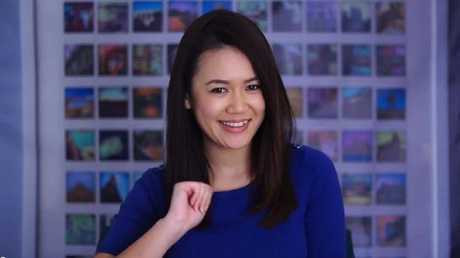 AN Australian comedian, actress and YouTube star has taken to social media to call out AAMI on sending her an 'ad' for car insurance which she almost mistook for an actual bill. Natalie Tran took to her Twitter account, telling her 261,000 followers that she was sent an offer to switch a CTP Green Slip to AAMI. In her post, she took a photograph of the offer from AAMI and captioned it, by writing: "Here's an "ad" sent to me by @AAMI FOR A CAR MY PARTNER OWNS (NOT ME) that looks EXACTLY like a bill. This is a poor and disgusting practise." She then later wrote to AAMI on Twitter, asking: "How is this legal? People must be unknowingly paying bills that are ads. There's a due date and everything. F**k this." She also said she "was about to pay it" because she "didn't think and saw it as a bill". "My poor parents get these too. It's an ugly way to advertise," she said. She told her followers she did not own the car the offer was for, and her partner doesn't currently use AAMI for his CTP insurance. Some of her followers reacted, saying they were shocked by the appearance of the offer sent to her. One person wrote: "I won't ever use @AAMI after seeing this." Another wrote: "how is this an ad??? I can't even tell. that is terrible :/ people have probably fell for this too." Consumer group CHOICE spokesman Tom Godfrey told News Corp Australia that when he saw the tweet: "It's a case of not so lucky your with AAMI." "If you received one of these documents you would be forgiven for thinking the insurer was trying to drive home a rort," he said. "As a rule, when your current insurer sends you a renewal notice it should be a green light to shop around for a better deal." When contacted by News Corp Australia, an AAMI spokesman released a statement saying this offer is sent to existing AAMI customers in the form of a regulator-approved policy notice (or Green Slip) to make it easier for them to immediately obtain Compulsory Third Party (CTP) insurance without any additional steps. He also said the opening paragraph of the letter sent out states it is an offer sent to AAMI comprehensive or third-party property motor insurance customers to switch to their CTP insurance. "The offer to switch includes a personalised CTP quote in the form of a Green Slip. It is sent when their vehicle registration is due," he said. He also added the design of this notice has been approved by State Insurance Rregulatory Authority (SIRA) and is the official certificate used for all AAMI CTP Green Slips, including new policies and renewal notices. "This is done to make things easier for customers. If the offer was in a different design (ie not a valid Green Slip), the customer would have to go through the additional step of requesting a new CTP policy be created," he said. "We have been sending out notices like this for many years as a service to our valued customers. We are not aware of any similar customer complaints received during this time."